For this Iron Craft challenge, we were supposed to use the word “cool” as our prompt. 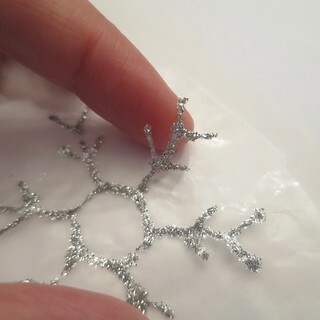 Well, what could be cooler than snowflakes? 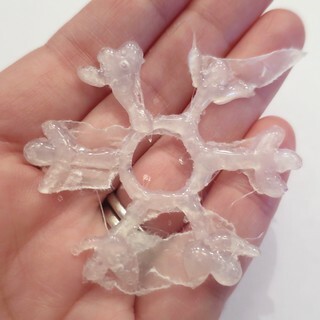 Over the past couple of years, I have been intrigued by the snowflake ornaments made from hot glue. Some of them really looked spectacular so I wanted to give it a try. While I was pulling out my hot glue, I decided to try making them with a few different glues, so let’s call this the glue snowflake tests. 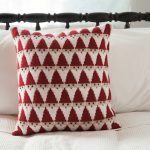 I started out by printing a sheet of simple snowflake patterns about 2.5″ each. 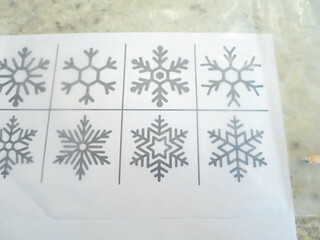 I put a sheet of wax paper on top of these snowflakes wax side up and taped them together so I wouldn’t get movement. Then I “drew” the snowflakes with the different glues on top of the wax paper. I used a toothpick to clean up any mistakes on all the snowflakes. First, I tried glitter glue that I picked up in the dollar store. The glue had a gel consistency, but wasn’t so thick that it was hard to get out of the bottle. I really liked how this glue worked for drawing, it didn’t spread and the pointed tip made it easy to draw lines. Second, I tried Tacky Glue. It was hard to draw nicely with this because it tended to get strings between the drawing and the bottle. It also spread more and more as it dried. Because it didn’t dry right away, I sprinkled some white glitter on it. Lastly, I went with hot glue, which was what I had seen done before. I found it really hard to get consistent width lines with the hot glue. Surprisingly though, strings were less of a problem then with the Tacky Glue. The hot glue dries very fast which makes it hard to get glitter to stick. And now for the results after drying overnight. The glitter gel was the one I had the most hope for, but it dried completely flat. I was able to gently peel it from the wax paper, but would never have gotten a whole one off in one piece and it wouldn’t hold its shape. The Tacky Glue was the most successful. It easily pulled from the wax paper and holds its shape. It is still quite bendy though and I wouldn’t hang it as an ornament. 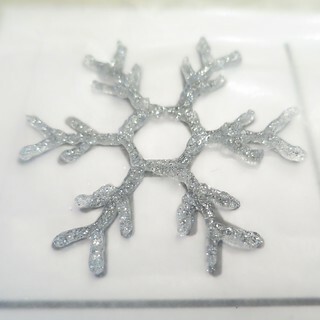 The hot glue, which was supposed to be the version that made beautiful snowflakes according to Pinterest, was a mess. It completely stuck to the wax paper. I imagine the heat melted the wax a little. It is also quite bendy. All and all, I would call this one an Iron Craft fail! I had about the same experience with this, I did manage to use some of the snowflakes as window cling decorations, though. Had so much hope for the project, too. That is the only thing I could see them being good for. I almost replicated your salt dough project in snowflakes for this project. 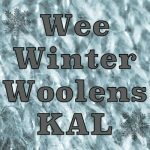 I, too, have wondered about this project and it was on my list of things to try for this holiday season. Thanks for sharing–maybe I need to really try that salt dough recipe. Salt dough is a lot easier than these, believe me! Yeah wax paper is a bad choice for hot glue, parchment paper or a silicone mat would have worked better. I also personally find a fine tip glue gun easier to control for things like that but still takes practice, tho cleaning up bits with scissors are often still needed. As far as adding glitter I would rec either covering the final creation in a a diff glue the adding glitter or picking up some glue gun sticks with glitter in them. If you end up trying again you might want to try pva glue instead of tacky glue and make sure todo more then one layer with any non-hot glue versions. I also read that wax paper works but you need to put a thin layer of dish soap on it. What about just plain Elmer’s Glue? Well, I’m cooled off just looking at all this. lol They came out really cute. I had a project almost ready and then a close friend suddenly died and I forgot all about it. Well, he was the parent of a woman who has been my friend since I was 6 years old and it was a shock. Still is. I’ll have something for the next one, I promise. Oh no, I am so sorry about your loss. 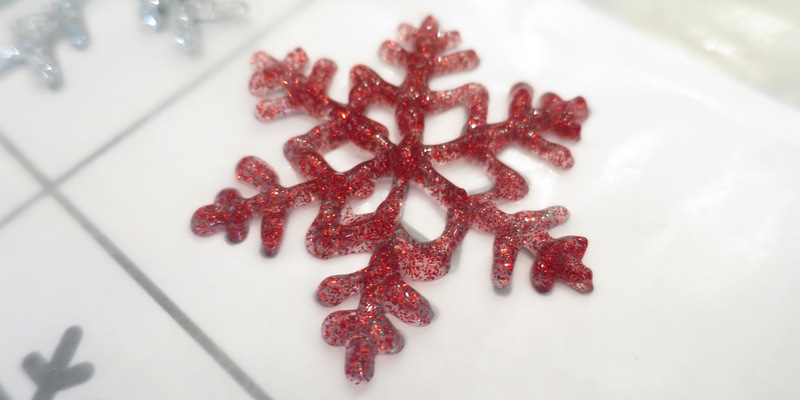 How about trying the Puffy Glitter paints for this project? I have drawn free-style on t-shirts and it does stay puffy. But I think I will try it on parchment paper. I didn’t have any on hand, so I didn’t try. Let us know if it works. My only wonder would be if it dries stiff enough.